Nissan wants to turn car windshields into portals to a virtual world. At CES 2019, the Japanese automaker demonstrated what it calls “invisible-to-visible” (I2V) tech, and it leveraged the benefits of 5G to begin testing it in real-world conditions on its proving grounds in Japan. While the name makes it sound like witchcraft, I2V is just a way to overlay information from a car’s onboard sensors, as well as the cloud, onto the driver’s field of view. Think of it as augmented reality (AR) on a larger scale, or a head-up display on steroids. I2V relies on a system called Omni-Sensing to act as a hub for the relevant data, which is organized and displayed as graphics floating around relevant objects — just like in a video game. In fact, the entire platform was developed by Unity Technologies, which started out in the gaming business. 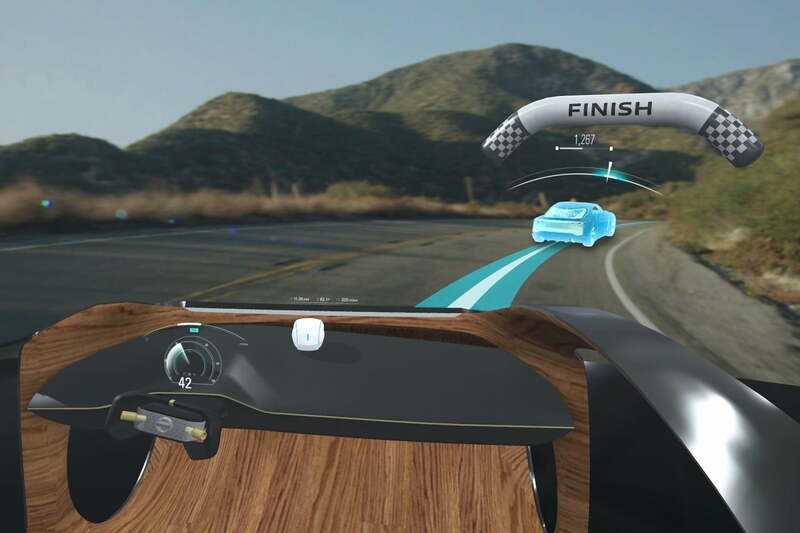 Drivers can also connect to what Nissan calls the “Metaverse,” a virtual environment shared with other users. It allows people to appear inside the car as virtual, three-dimensional avatars. This tech has many possible uses, according to the company. If it’s raining outside, I2V could project an image of sunny weather inside the car. Drivers could call on local guides to get information about the areas they’re driving through, or driving coaches to help improve their skills. Cars could also use the tech to warn drivers of upcoming hazards, like poor visibility or irregular road surfaces, or suggest alternate routes to get around traffic jams. Nissan began testing the technology in Japan in March 2019, and it explained its real-world trials are made possible by super-quick 5G technology. The low-latency connectivity wirelessly transmits avatar data into the test vehicle, which is based on a van the company sells in overseas markets, and in-car camera views from the vehicle in real time. The point of the trial is to evaluate how the people traveling in the car and those represented through avatars sense each other’s presence via the user interfaces. This technology is years away from reaching mass production. Even if it can be packaged in a way that works in the real world, I2V seems plain distracting. Drivers have enough trouble paying attention without their crazy uncles beaming themselves into the car to talk about football. This tech seems better suited to future self-driving cars, however, which Nissan and other automakers are working to usher in. Updated on March 12, 2019: Added information about Nissan testing the technology using 5G.